Picnic Tables in Northern Virginia, that’s all we do here. We make quality outdoor furniture for the nova area, and deliver it to your house. We start with quality. 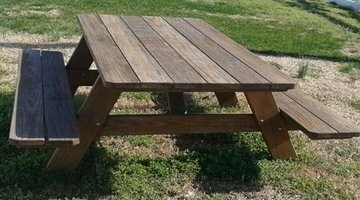 All our picnic tables are made from treated, hardwood lumber, stained for protection, and ready to stand the test of time. For a style and strength only an amish built style could have, call us today. Save some money and pickup, or let us deliver to you.